I love the PVC fashion trend. 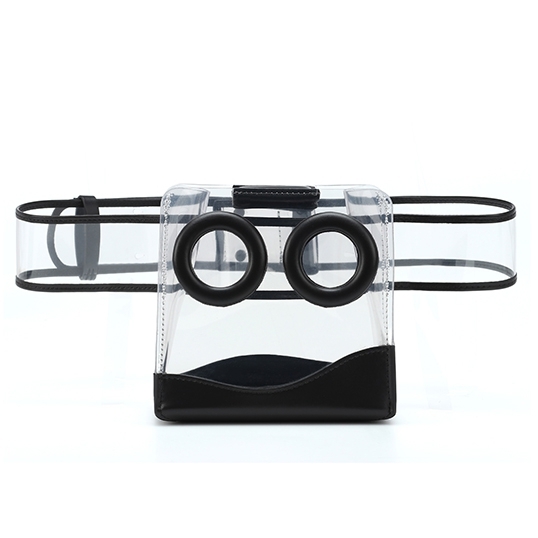 Transparent PVC accessories bare all, leave nothing to the imagination and captivate onlookers. Suitable for skinnies only, PVC clothing is risky on even the perfect body - it sticks to your skin and if you sweat, it's gonna show (gross)! 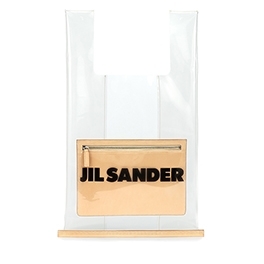 PVC transparent bags however, are the easier choice for this trend. PVC, also referred to as shiny vinyl can be produced in any shade and is not necessarily transparent. 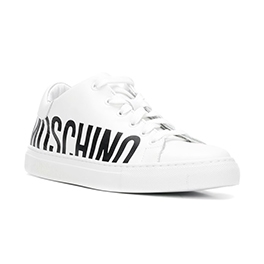 Often confused with patent leather, this synthetic material has high fashion potential, but be careful, it can look kinda trashy if not donned properly. Here's a few designer PVC accessories for inspiration.. 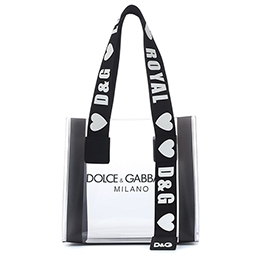 This black and gold-tone Dolce & Gabbana Gomma + Ricamo PVC Bag (available at Farfetch) is perfect! AND I WANT IT! 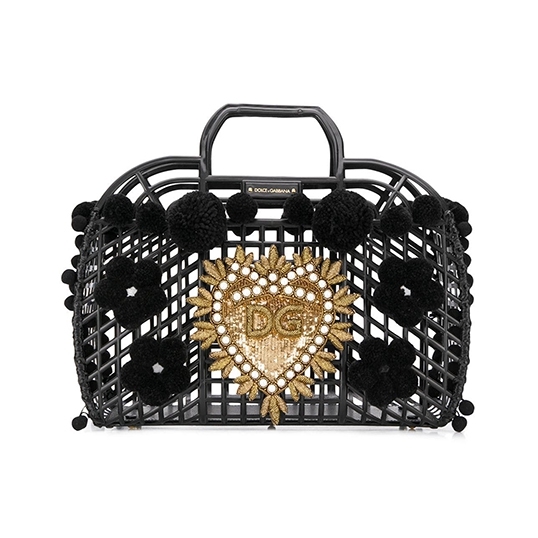 The black PVC cage design has pom pom embellishments and a gold-tone D&G logo plaque on the front. Stripped down to the bare vinyl cage, this handbag reminds me of vintage plastic shopping totes, but of course the D&G design is high fashion and probably not meant to hold groceries! I have respect for anyone who dares to wear transparent shoes. They look insanely uncomfortable and don't most feet sweat - I just imagine my feet sliding around (eww). KKW dons transparent shoes often and makes it look effortless (there must be a secret). 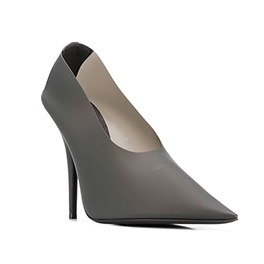 These Yeezy Season 8 PVC Pointed Pumps (available at Farfetch) are simple and modern. These graphite-gray semi-transparent pumps have a soft branded insole and three small holes along the side for ventilation (brilliant). These high-heeled shoes are gorgeous and blend nicely with the modern, monochromatic fashion theme. 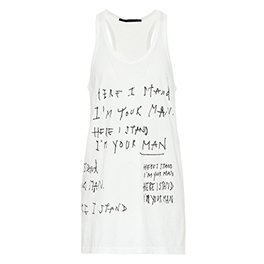 I'm a huge fan of printed clothing and accessories, especially if the message is meaningful. This MM6 Maison Margiela Charity Capsule Shopper Tote (available at Farfetch) is one of many pieces in the latest charity capsule collection in support of the French charity Aides. 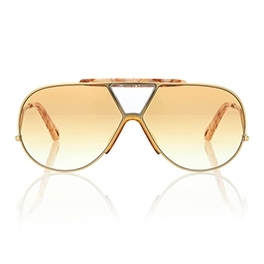 Mason Margiela is a long-time supporter of the non-profit organization. 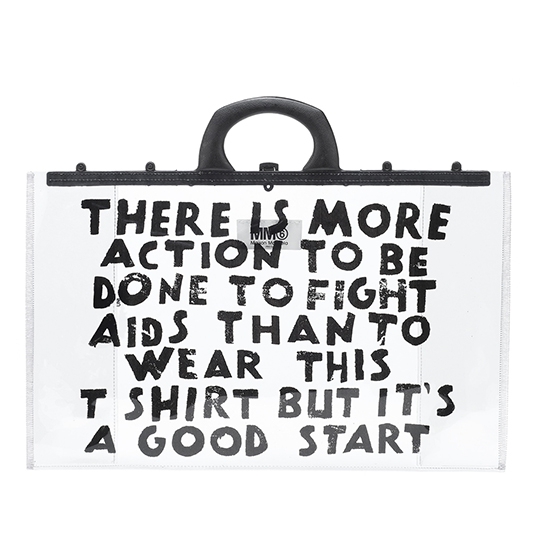 25 years ago these words appeared on t-shirts; THERE IS MORE ACTION TO BE DONE TO FIGHT AIDS THAN WEAR THIS T-SHIRT BUT IT'S A GOOD START". 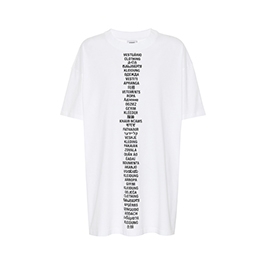 The t-shirt has been reinvented every year and this season, the important message appears on garments, cuffs, bags and the classic t-shirt. 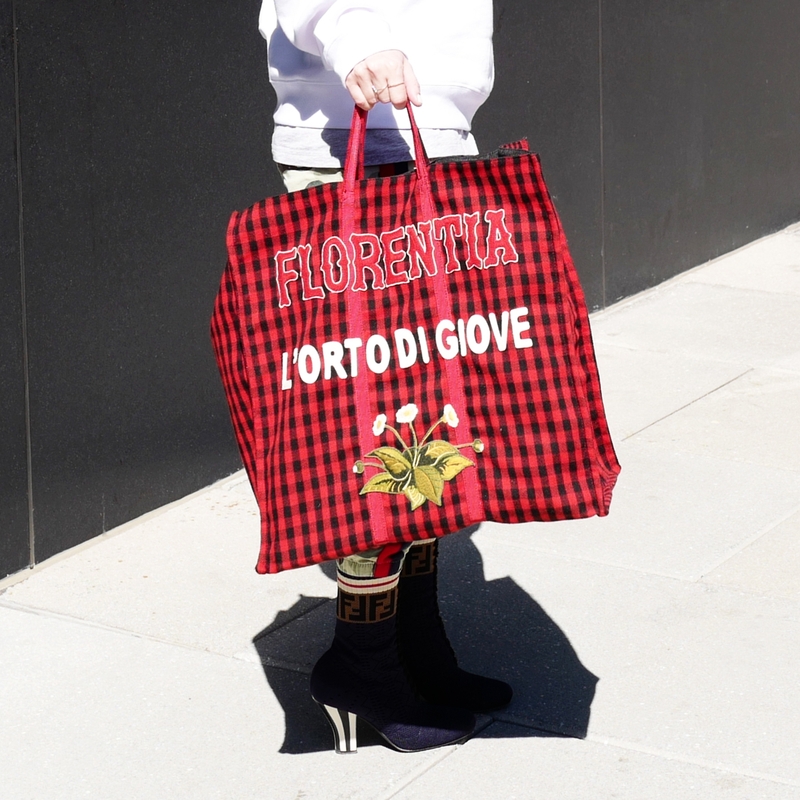 This Junya Watanabe Comes des Garçons PVC Tote (available at MyTheresa) has a PVC lining and removable drawstring canvas pouch. This tote is perfect for anyone that prefers to keep their handbag essentials a secret. 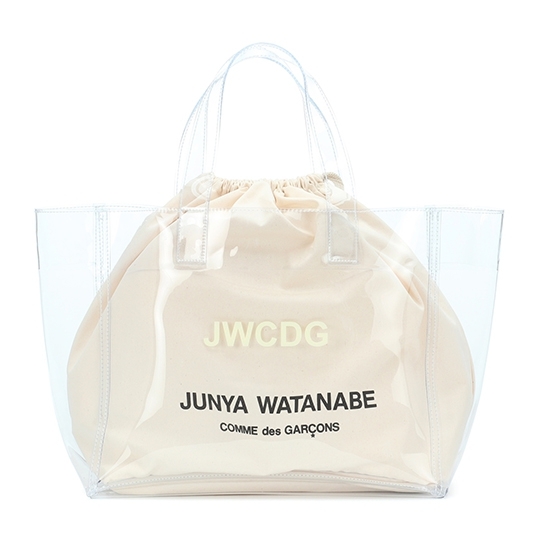 The vinyl tote has JWCDG printed on the front and the canvas pouch dons Junya Watanabe Comes des Garçons. This tote is simple, neutral and perfect for summer. 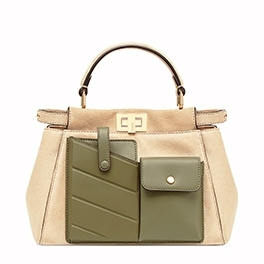 The Boyy Deon PVC Belt Bag (available at MyTheresa) is fun fashion! The contemporary PVC bag design is cute-chic. This PVC belt bag has leather trim, an adjustable strap and dons the signature ring detail. 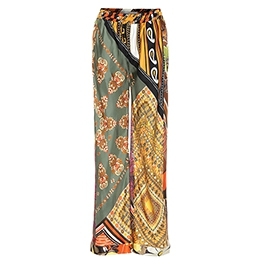 This bag is perfect for festival season. 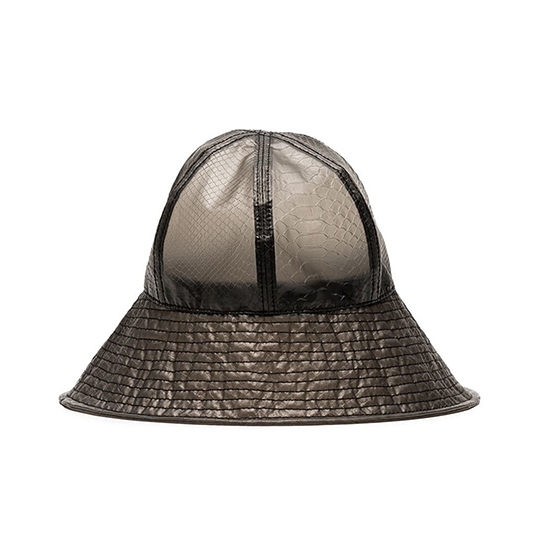 The Mason Michel Julianne PVC Bucket Hat (available at Farfetch) features a transparent, croc-embossed pattern and logo plaque. This hat is the perfect high-fashion accessory to keep your hairstyle intact while you go about your day in less than desirable weather. The oversized brim will keep the rain off your hair and face. I have to have this innovative PVC hat! I'm a detox anything and everything fan - Detox tea, juicing, herbal supplements and more recently, my scalp and hair. Admittedly, I've been lazy in the self-care department, but as of late have been implementing changes to better myself inside and out. I finally mustered up the strength and dedicated myself to a daily exercise routine. I HATE IT! People who say exercising feels good confuse me. Albeit, I'm loosing weight and I love that my clothes are ill-fitting. Other than the intense workout at 8:00 am (I feel like I'm being punished), my hair routine is also suffering. 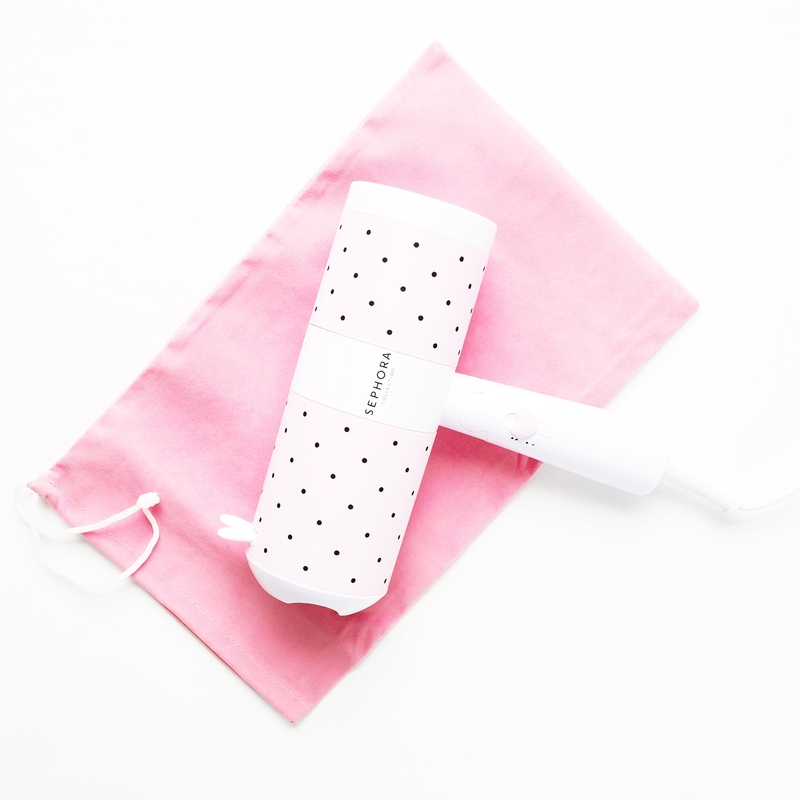 I used to scrub my scalp and strands every third day, but I'm sweating and my hair requires a wash every other day - dry shampoo and a sweaty scalp is a cocktail for gross! My hair is supper oily to begin with, but after 10 minutes on the squat machine and 3 rounds of "9 Exercises to get a flatter stomach", all I wanna do is shower and wash my hair. BUT, I'm lazy! Every other day, I give my head a intense scrub and once a week, I detox my scalp - It's the best feeling. I've tried scalp exfoliators and oils, but they often smell strong, like Tea Tree Oil (eew). In fact, most detox haircare products have an overpowering scent. If I walk my Toy Poodle before I shower day two, I'll sprite a little product on the back of my scalp to give my limp pony tail and loose strands a little texture. Bumble and Bumble Thickening Dryspun Texture Spray is not a detox product, but rather a dry texturizing spray. 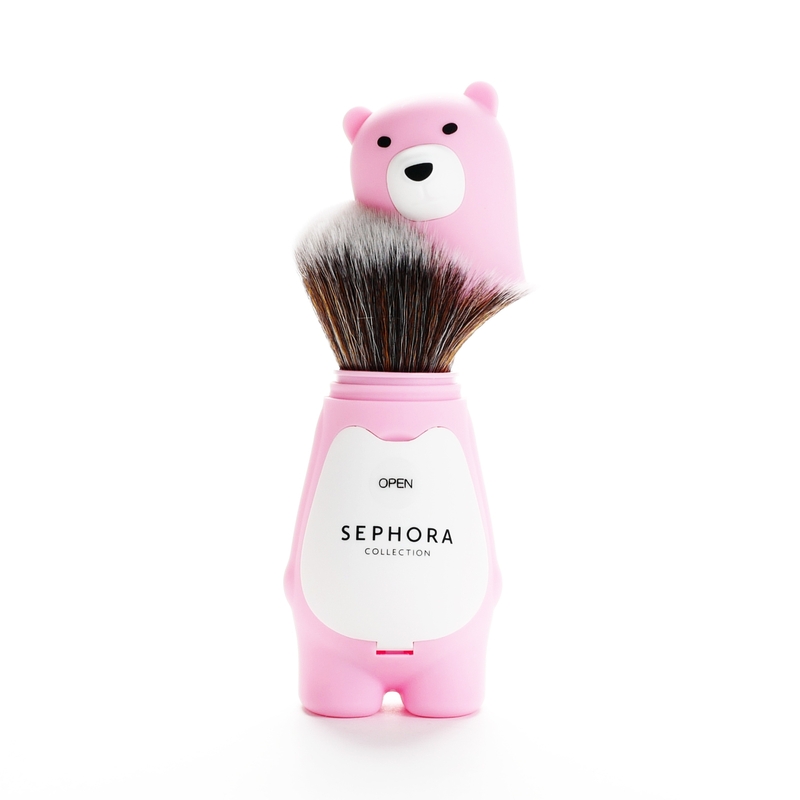 The scent is fresh and the light product leaves your hair feeling a little aired-out. This stuff is great for volumizing clean hair too. LOVE! For dry shampoo, my go-to brand is IGK. First Class, Direct Flight, Jet Lag and Fresh AF reign supreme in the kingdom of dry shampoo. 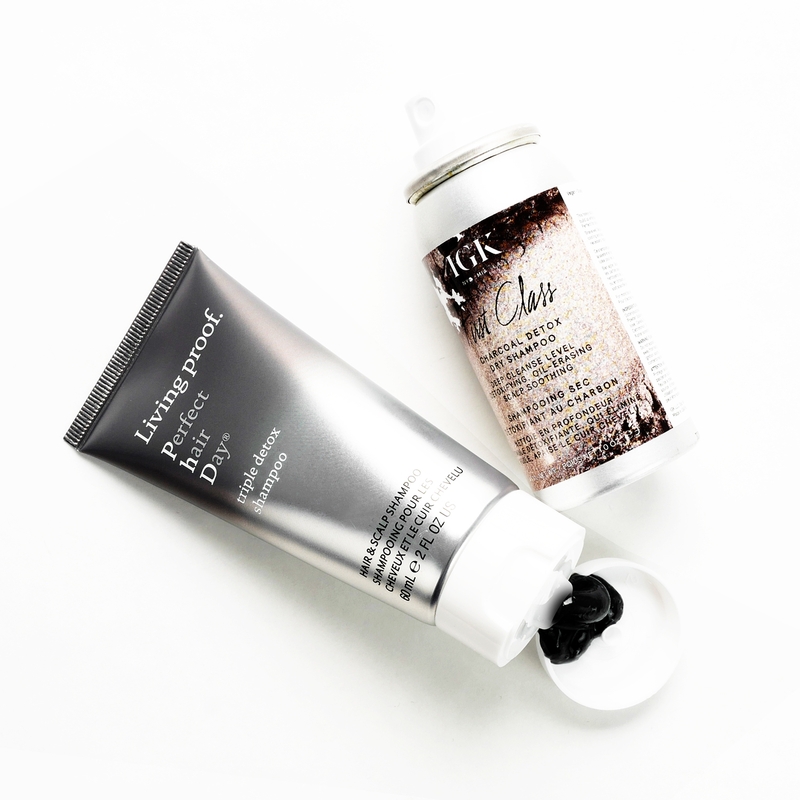 IGK First Class Charcoal Detox Dry Shampoo is my favorite on the IGK shelf. The scent is strong, but nice and I like that it contains charcoal. Activated Charcoal absorbs - you can drink it, brush your teeth with it and apply to your hair and scalp to absorb the excess oil. IGK First Class Dry Shampoo cleanses your hair, absorbs oil and eliminates odor. 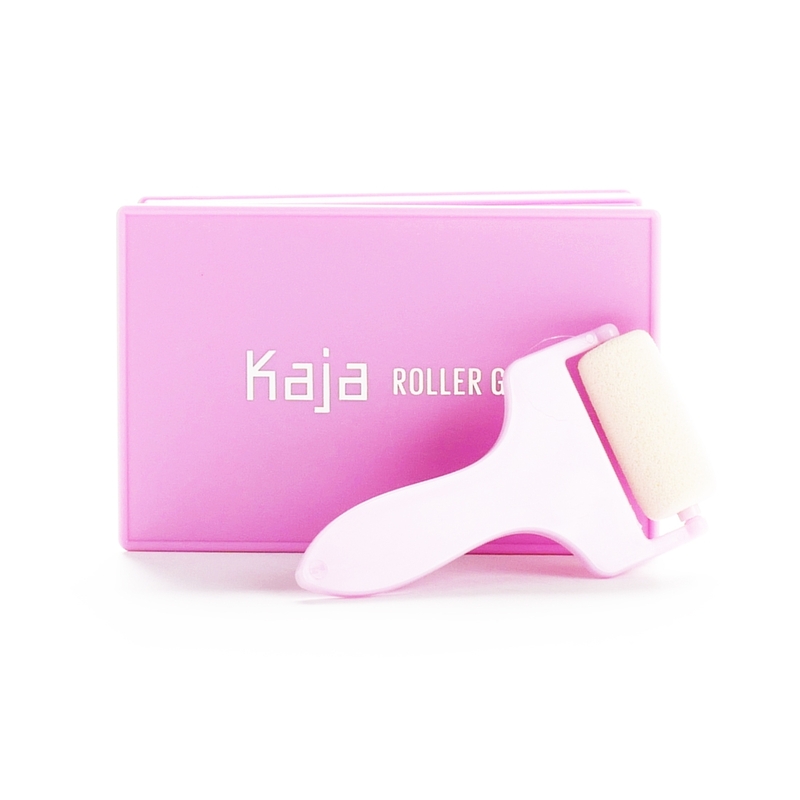 Spray the product on to your roots (oily areas) and leave for 10 min (to get the cooling, cleansing affect). 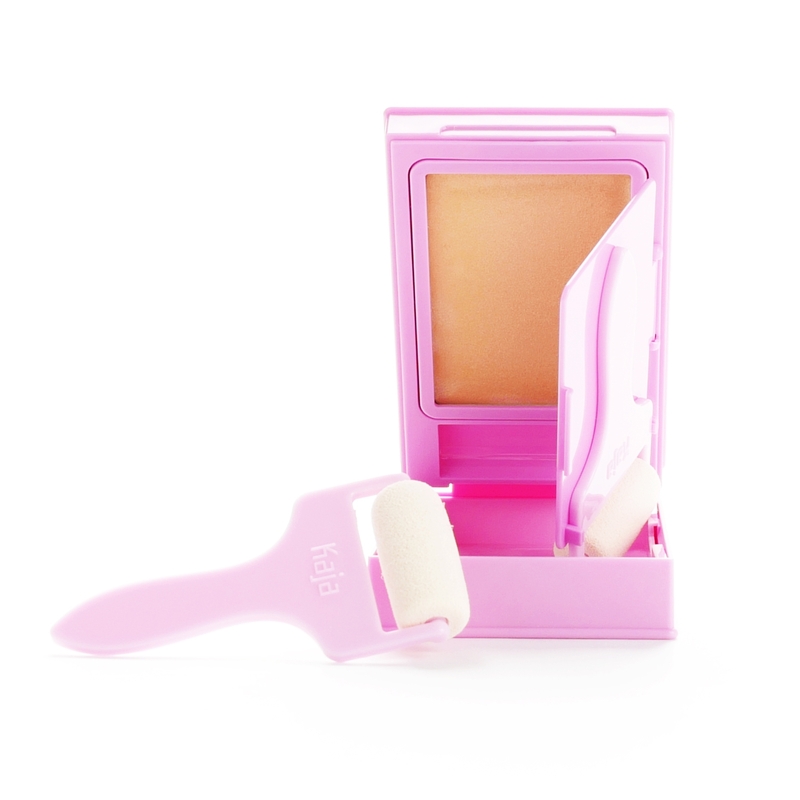 THEN, turn your head upside down, massage and shake to distribute and remove access product. Living Proof Perfect Hair Day Triple Detox Shampoo has a super-strong scent, but it dissipates throughout the day. The Activated Charcoal infused shampoo smells like lemons and leaves your hair feeling fresh. This shampoo also has a patented healthy hair molecule (OFPMA) that fights off dirt and and oil, leaving your hair cleaner for a longer period of time. This shampoo stinks, but it works and has landed a permanent spot in my weekly haircare routine. 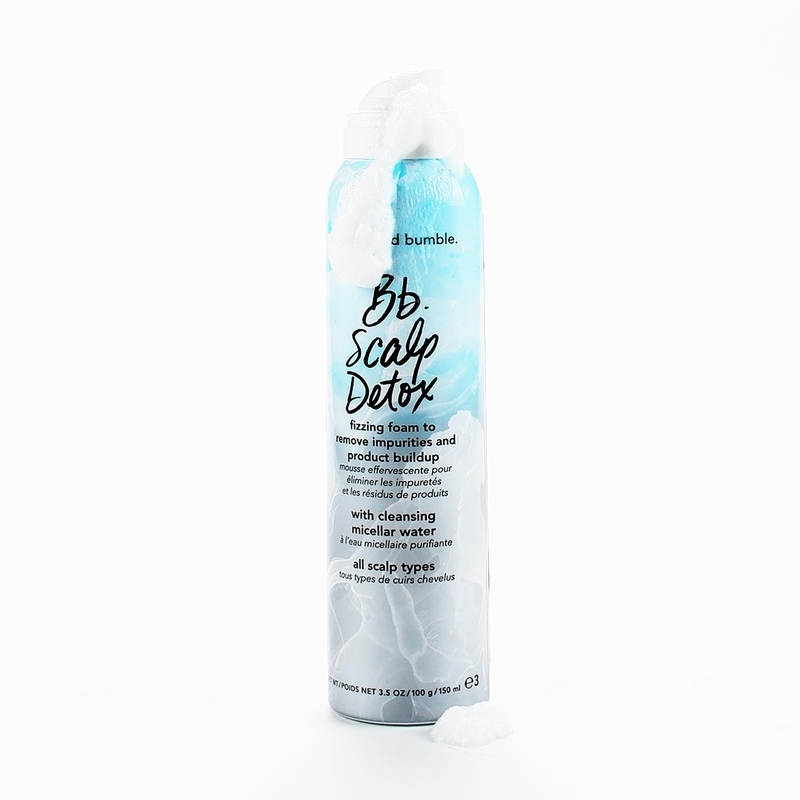 Triple Detox Shampoo is available in 160 ml and a travel-size 60 ml (love that). I suggest you purchase the smaller tube and give it a try.. I'm a HUGE fan of Bumble and Bumble hair products. I've tried almost everything on the roster. This one however fell short of my expectations and gave me a headache! The potent scent of Bb. Scalp Detox is unbearable! You could use this stuff in warfare! And of course, I got the product all over my hands and clothes while trying to capture a pic of the foam. I had to take a shower and quarantine my photo studio until the smell dissipated. Whether or not it works - I can't say from experience. BUT, Bb. Scalp Detox is a 2018 Best of Beauty Allure Award winner. 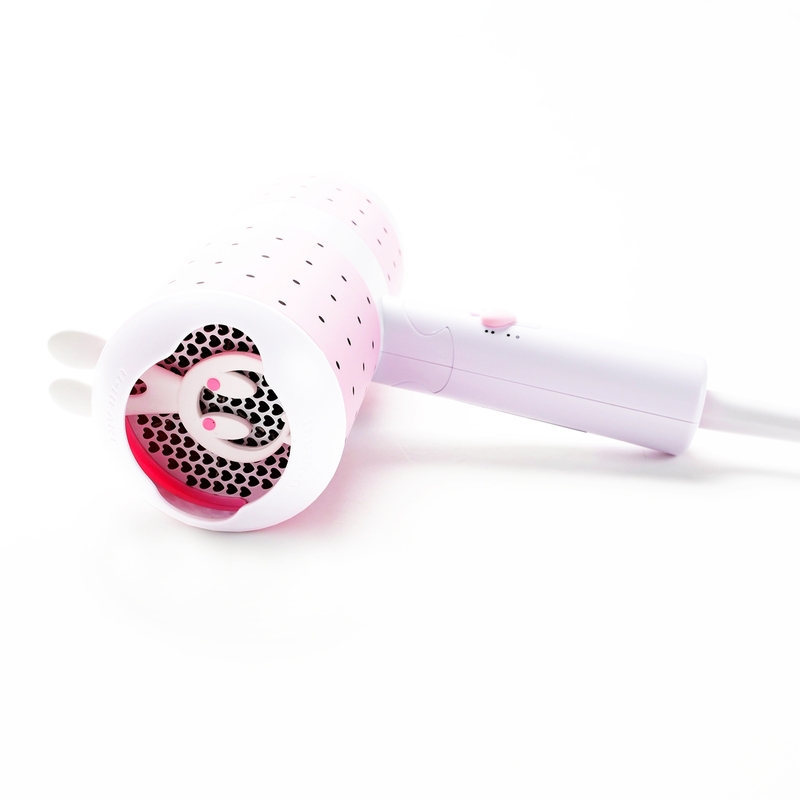 AND, I gave this fizzing, detoxifying foam to my girlfriend and she loved it!? If you can handle the scent or maybe even like it, this may be the perfect scalp detox solution for you. Bumble and Bumble is a premiere haircare brand and I'm confident that everything in the lineup is amazing. Fingers crossed Bumble and Bumble will launch scent-free haircare.. I LOVE this Invisibobble Sprunchie. I have very fine, short hair and I prefer to wear my hair off my face, but my pony tail is pathetic! This black, velvet- like sprunchie (love the name) stays put and makes my up-do appear fuller. 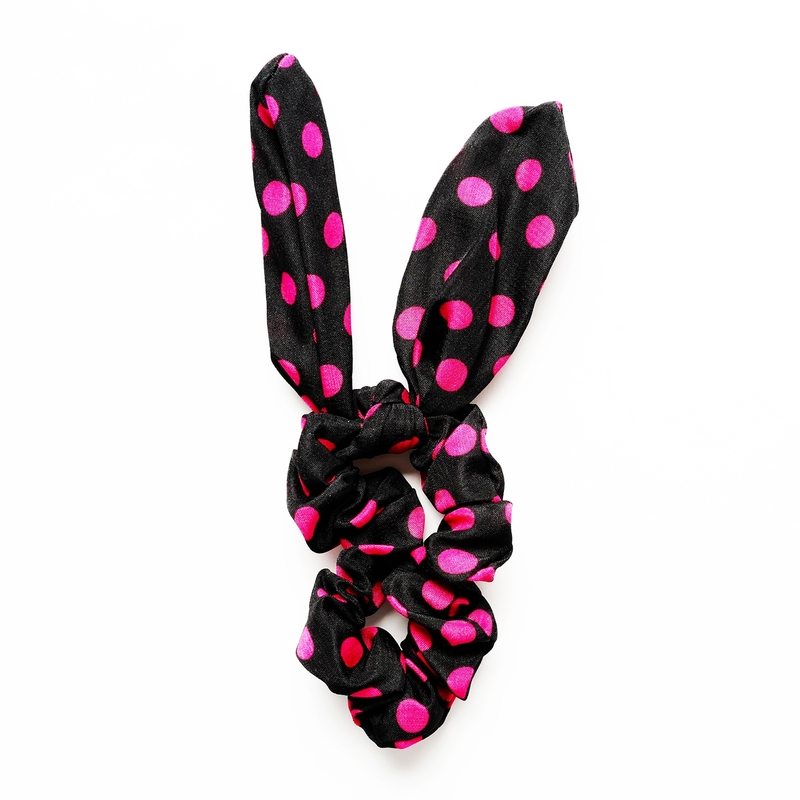 I wrap it once and then tuck my hair in and wrap again to create a messy, mini-bun. My hair is black, so the sprunchie blends well. I can't believe this innovative Invisibobble has been sitting in my studio for months (unused). I need to work faster on these reviews. This sprunchie is a must-have! 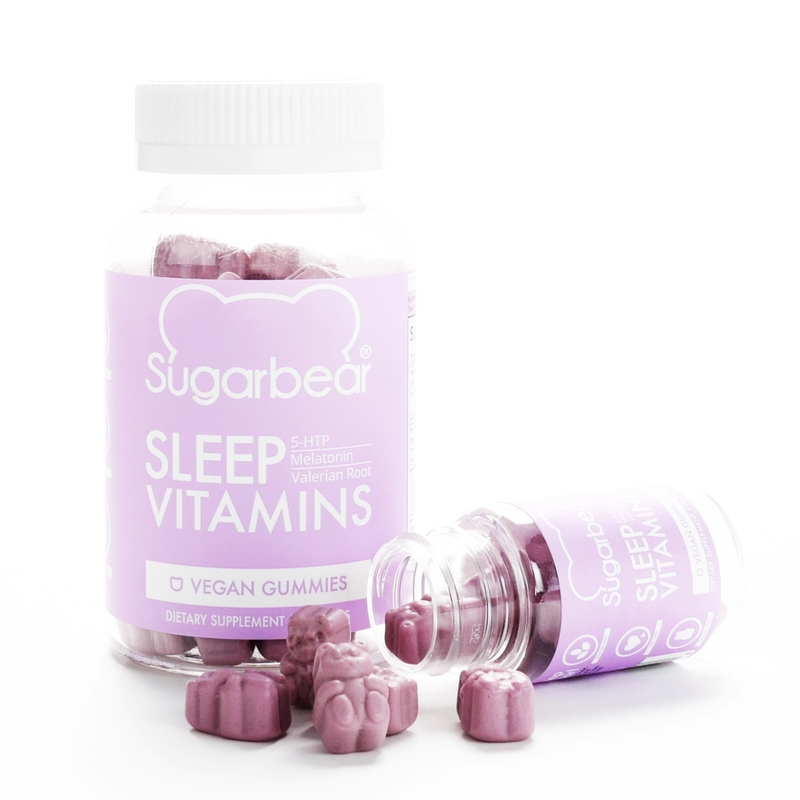 Another Instagram sensation - Sugarbear SLEEP Vitamins. These little bear-shaped vegan gummies are formulated to help you sleep. The little purple bears smell delicious, taste like berries and are SUPER-SWEET! I'm not a sweets person, but I prefer a flavorful gummy over giant capsules - there's nothing relaxing about swallowing huge pills and vitamins. Comprised of Melatonin, Magnesium, Theanine and Vitamin B6 - These ingredients tell your body when to go to sleep, enhance natural Melatonin and promote relaxation. This list is typical for natural sleep aids. These gummies also contain the Sugarbear proprietary Rest Well Blend - botanicals that promote relaxation and optimize sleep. Lemon Balm Leaf, Passion Flower, Valerian Root and 5-HTP promote a calm, positive mood. Seems like these gummies are packed with everything you need to improve your mood, promote relaxation and get a good night sleep. Albeit, most of us require something a little stronger! I suffer from insomnia and have tried too many homeopathic remedies. Yes, they "help", but if I'm stressed it will take a horse tranquilizer to keep me under for the suggested eight hours. I do find Sugarbear SLEEP gummies beneficial for relaxation. Rather than chewing two at bedtime, I opt for two with my evening tea (a blend of chill-the-f**k-out herbs and detox tea). I find slipping in to the sheets, feeling relaxed and stress-free is most beneficial to a good night sleep. Reducing stress in your life (or coping with it better) also plays a huge role in a positive, calm mind and solid eight hours rest. 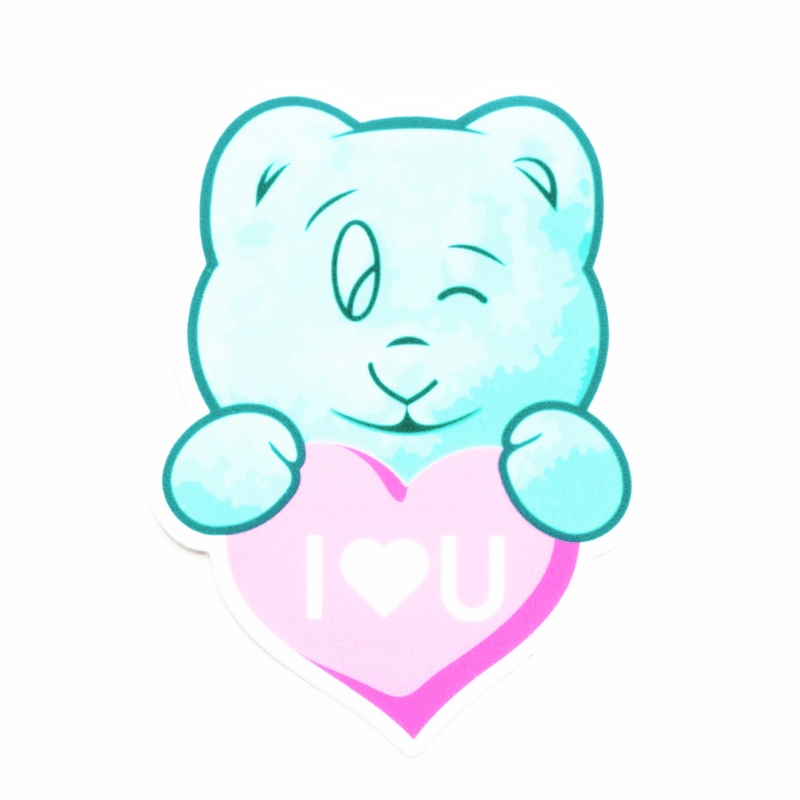 Sugarbear vitamins are fun, delicious and gorgeous shades of blue, pink and purple. Color is super important on Social Media and if a product photographs well, it will swiftly gain fans (whether or not the product is worthy). 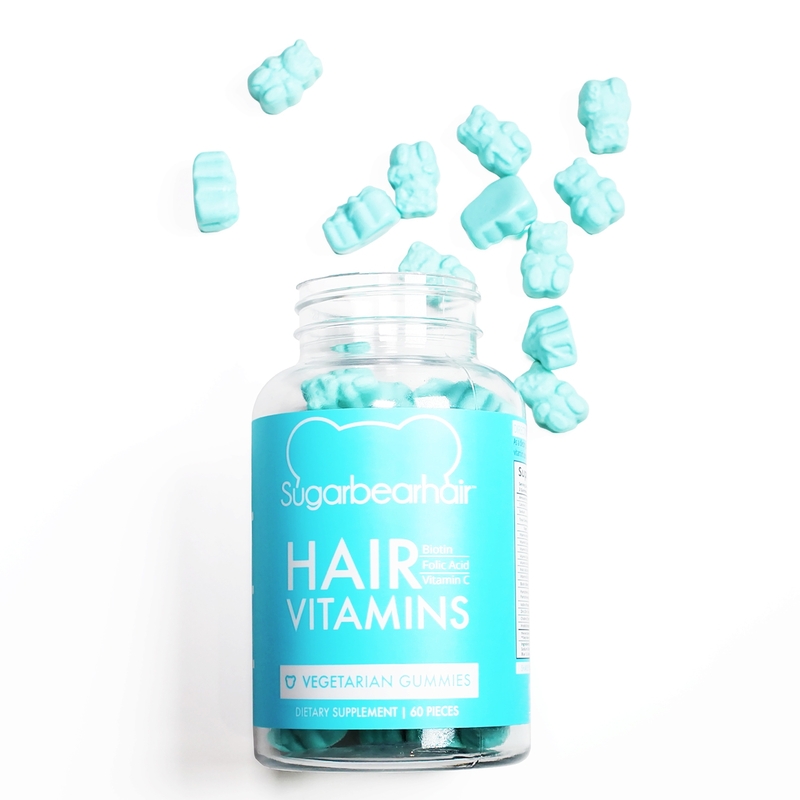 So many people claim that Sugarbear HAIR Vitamins have changed their life. Claims that these little blue bears miraculously transformed your straw hat to a gorgeous mane are ridiculous. Gummies that contain Biotin, Folic Acid and Vitamin D will promote healthy hair, but proper haircare is necessary in the recovery process. While perusing the Sugarbear site for sleep vitamins, I noticed there is also a women's multi-vitamin. 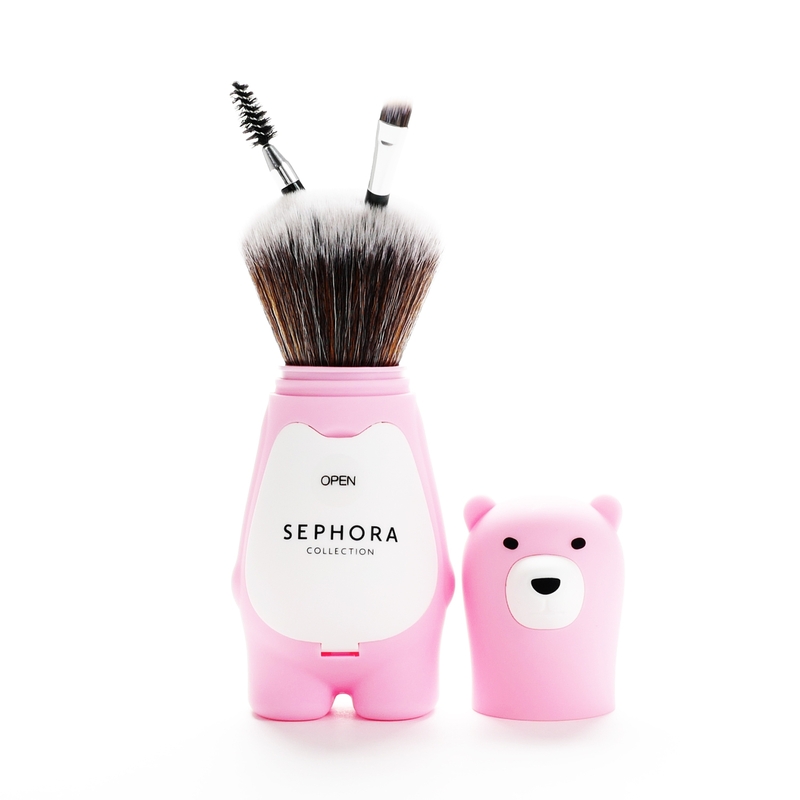 The bears are the perfect shade of pink - Of course, I'm going to buy them.. Sugarbear vitamins are cute, contain all the right stuff and aside from being 15 calories each, will only benefit you. 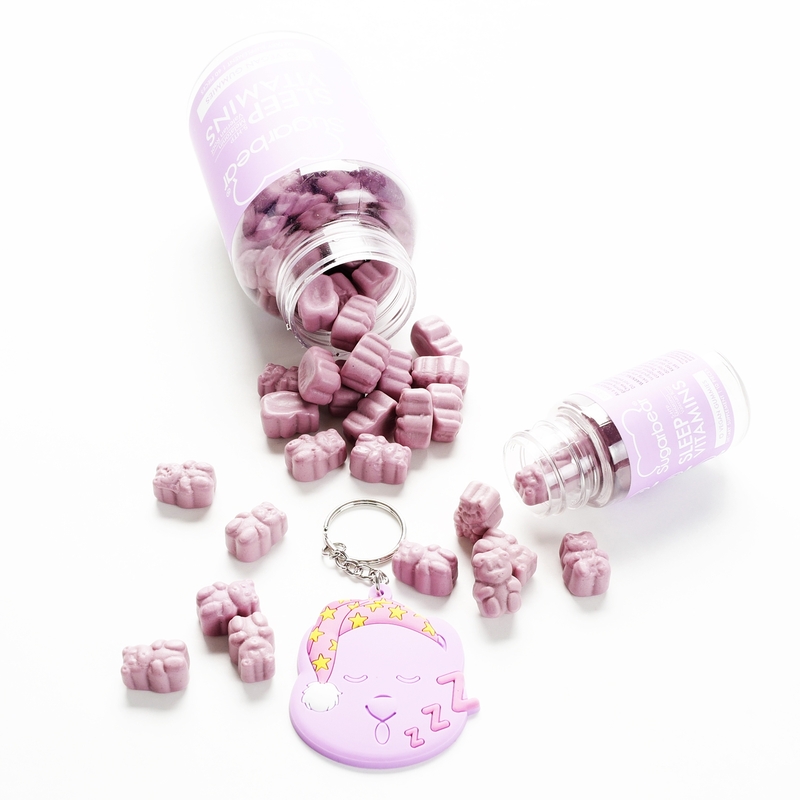 Oh and my Sugarbear SLEEP vitamins order included a mini bottle of gummies (perfect for travel) and a cute keychain. I love promo products! 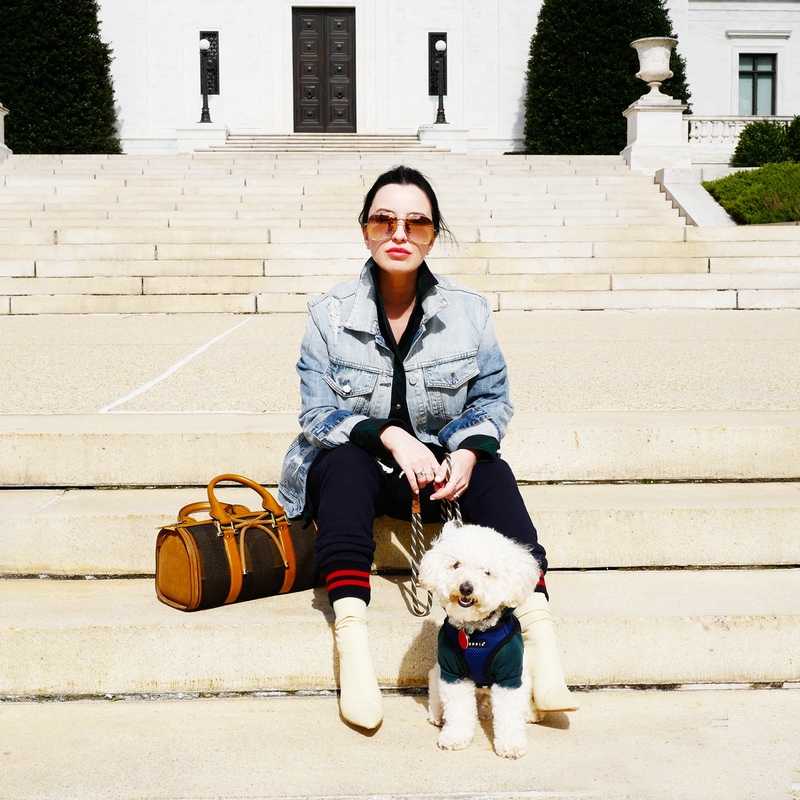 My favorite and absolute BEST accessory is my little fur baby, Teddy the Bear. 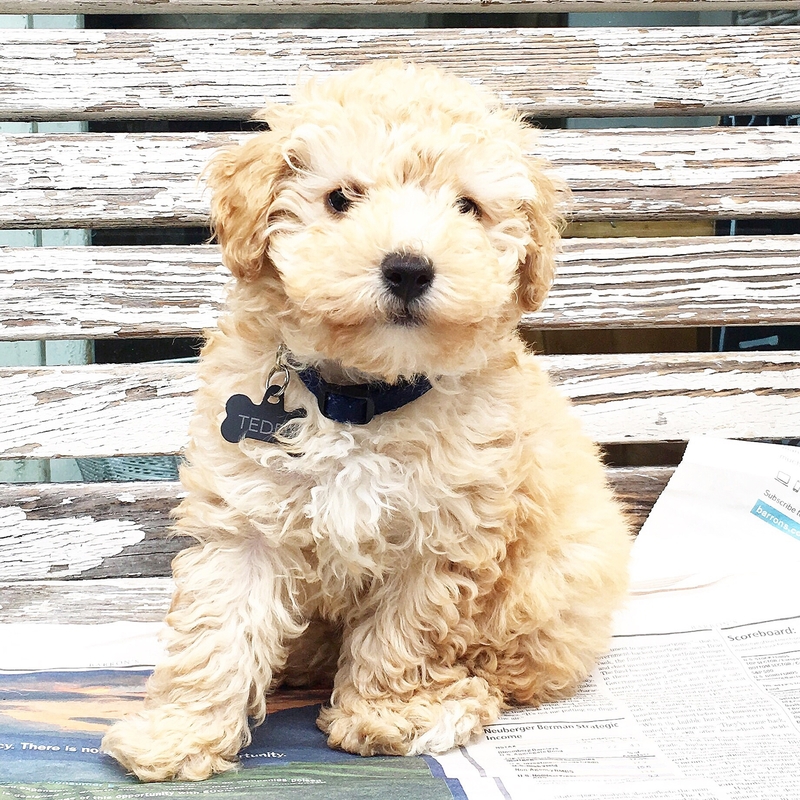 He's a Toy Poodle, looks like a fluffy bear and loves fashion. His closet is overflowing, and of course matches his mommy's fashion style. 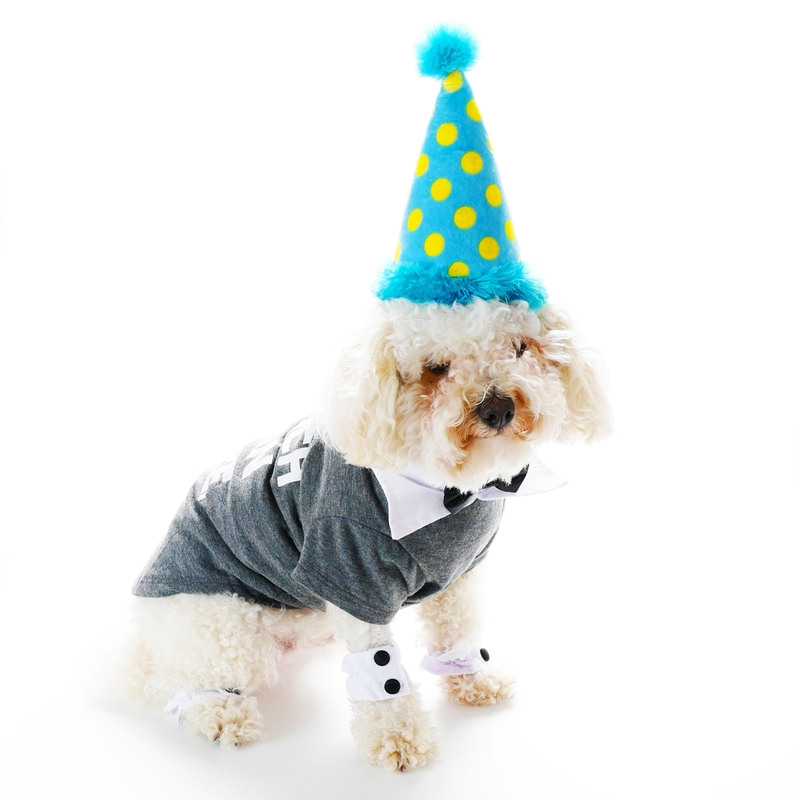 Teddy just turned two - here's a look back on his doggy fashion..
Teddy's first trip to New York City. My little guy survived two days of rain in his blue Fabdog packway raincoat. We spent most of the time in our hotel room watching Pets! Yes, there was a time when Teddy was a doggy nudist! 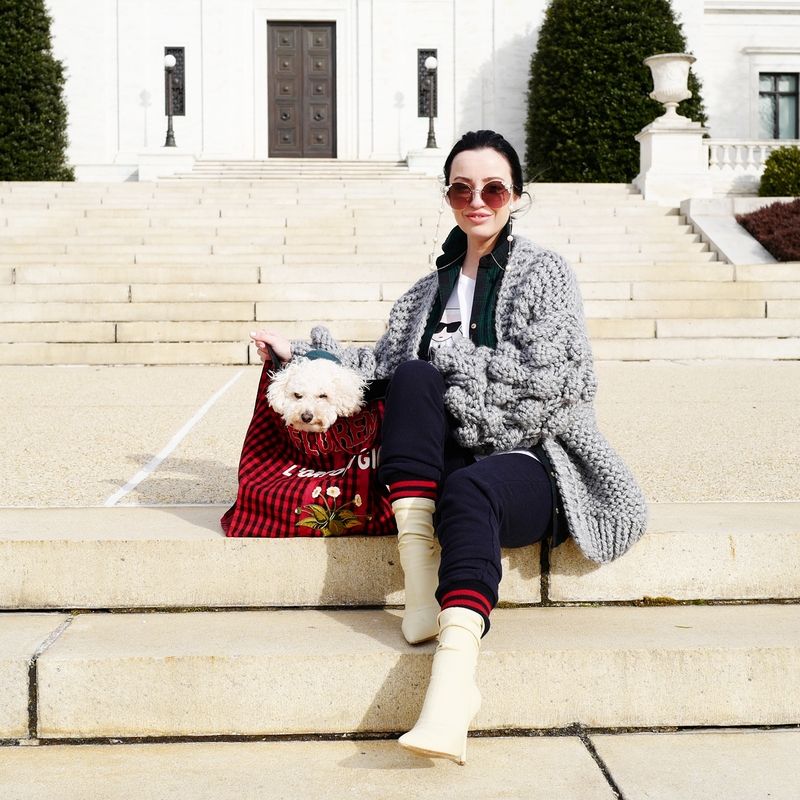 I never intended to be a dog mom that dresses her dog. I thought it was ridiculous! BUT, then the winter weather came and he was cold. So began the winter wardrobe..
Teddy loves wearing clothes. I can hold up options and he will choose his favorite. Hoodies are a must and we always match. Teddy is wearing an American Apparel dog hoodie and blue Puppia sports harness. 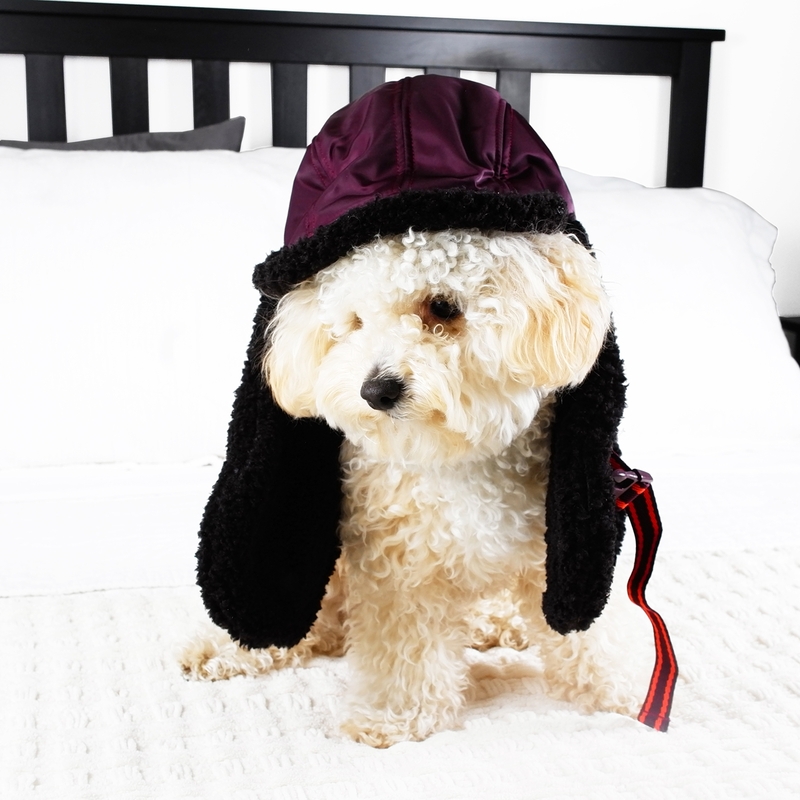 Surprisingly, Teddy is willing and happy to wear hats! This is my Fenty X Puma trapper's hat. He loves anything furry and fluffy (like mommy). Admittedly, it was hard to snap the perfect photo, while he was trying to eat the hat. 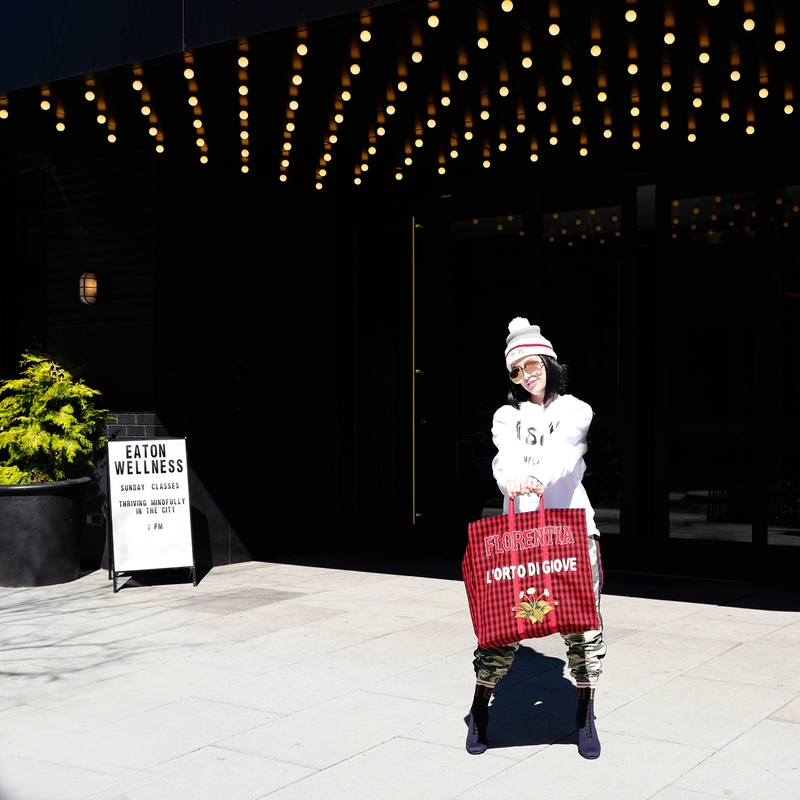 Baby bear in a Gucci tote! Teddy and I are loving the buffalo check trend. I have a bag, he has a vest and Daddy has a hat! We look ridiculous walking down the street in matching outfits! Animal lovers - don't be upset that he's in a tote! 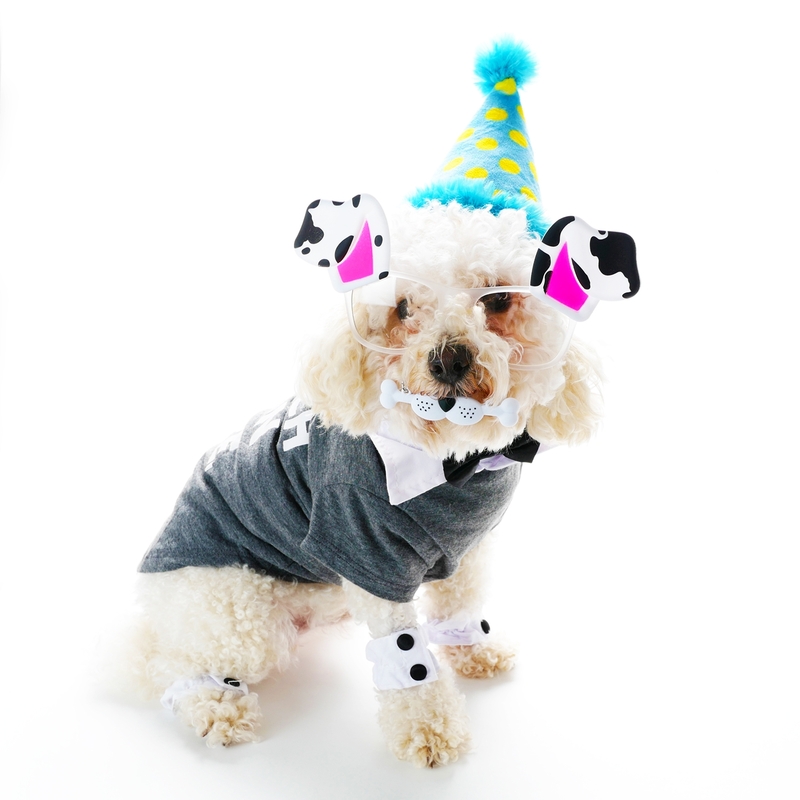 Teddy is a dog model and loved every moment of this photo shoot. Enter the boots. I read that you should condition your dog to boots at an early age, so when Teddy was a baby, he often wore socks at home. When it came time to put boots on, he didn't make a fuss. 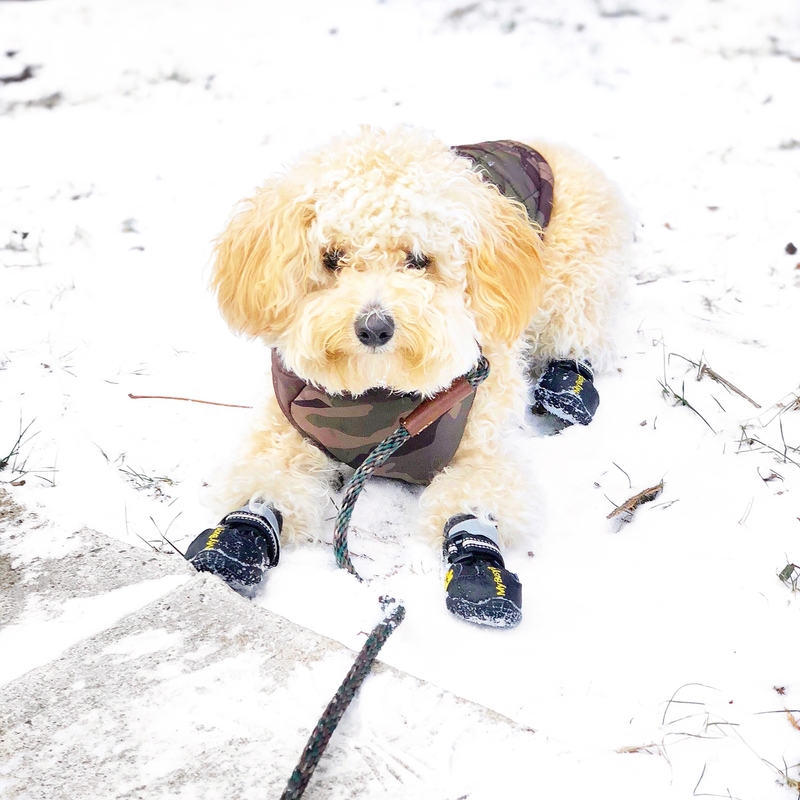 Teddy makes wearing doggy boots look easy AND he has four pairs! Of course, Teddy has too many winter vests. Green, blue, camo.. He's well equipped for the cold weather. Dog parents - please protect your dogs from the cold and salt. I see so many dogs with no coat and no protection on their paws (the parents are bundled up though). T-shirts are a must! Teddy has a HUGE selection of t-shirts in many colors, with cute sayings. This green and camo t-shirt says BOSS (fitting). We've almost worn this one out. Teddy's birthday t-shirt says BRUNCH BACON BOOZE. Of course he had bacon on his b-day, but NO BOOZE! Teddy had the best birthday a two year old bear can ask for. He wore his tuxedo bow tie and cuffs all day. The hat was bait of a struggle - it makes a crinkle sound and he loves playing with it. 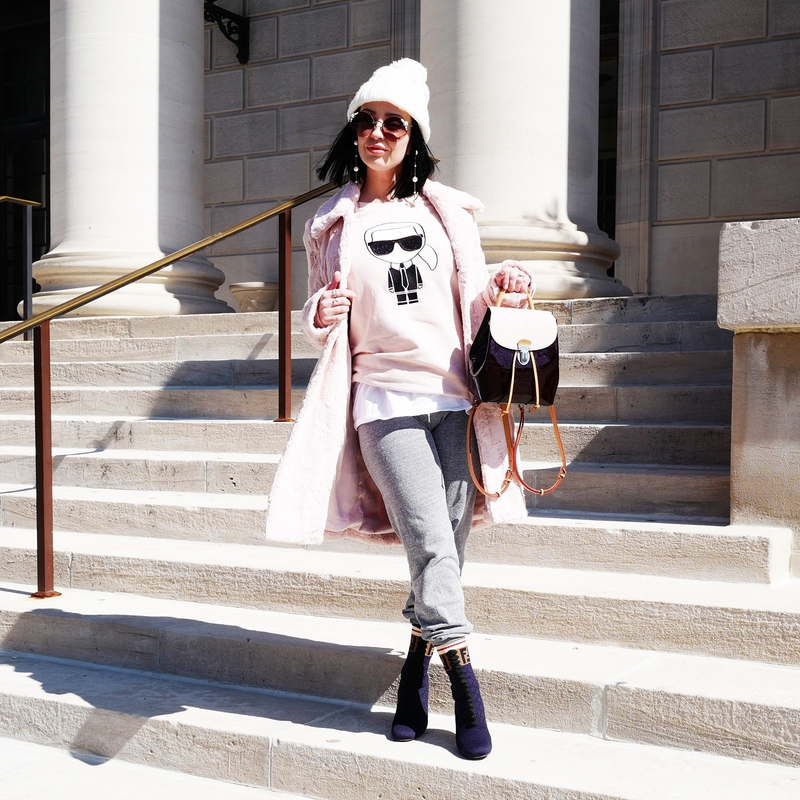 That was my fashion tribute to Teddy the Bear. I didn't think I would become one of those dog parents, BUT I'm happy I did. 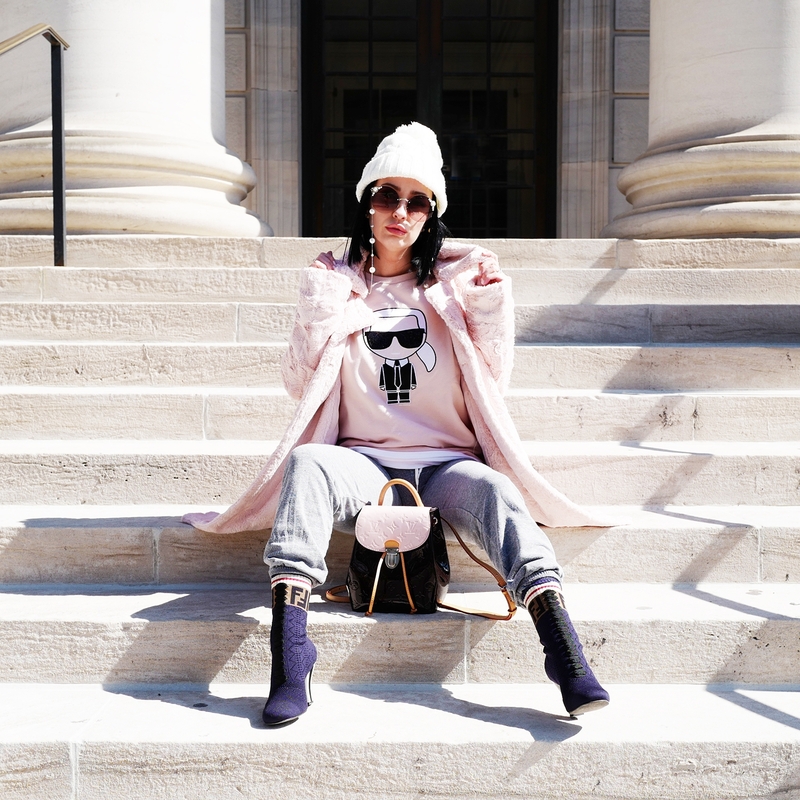 My little bear never leaves the house without a careful curated outfit!